For more than 75 years, Mills Manufacturing has been a prime parachute manufacturer for the United States government and military, providing soldiers and airmen with quality parachutes and accessories that meet the rigorous standards demanded by the world’s greatest airborne force. Today, we supply all branches of the US Armed Forces and more than 65 international allies. We understand that people’s lives are on the line when using our products, so we strive to be the parachute manufacturer that you can rely on every time. We can also manufacture custom military parachutes upon request. Our most popular products are the classic airborne troop parachutes. 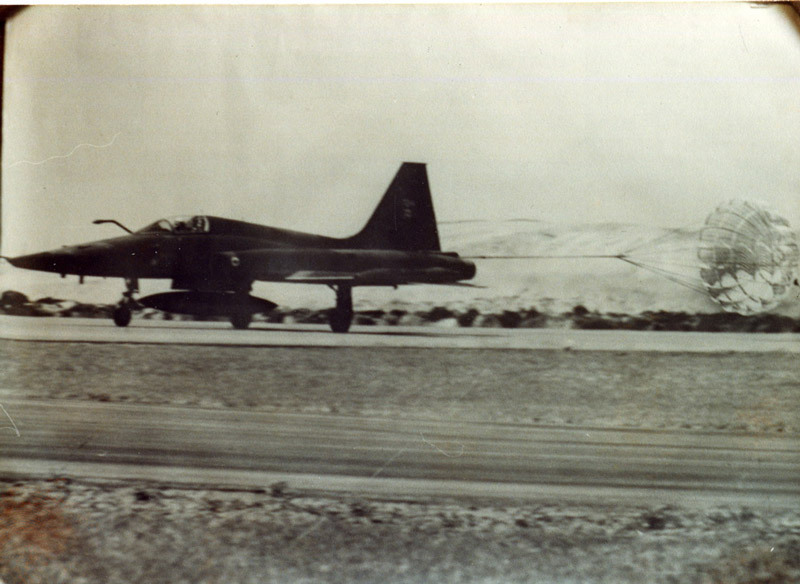 Since the 1950s, the T-10 has only had a few small modifications. It’s proven to be a very reliable and functional design and style. We also provide the MC1 series of airborne troop parachutes and manufacture all parachute assemblies and reserve systems. The T-10 and MC1 models are still the primary workhorses for many armed forces who rely on airborne operations today. We manufacture and deliver the same reliable, battle-tested models relied upon by personnel around the world. 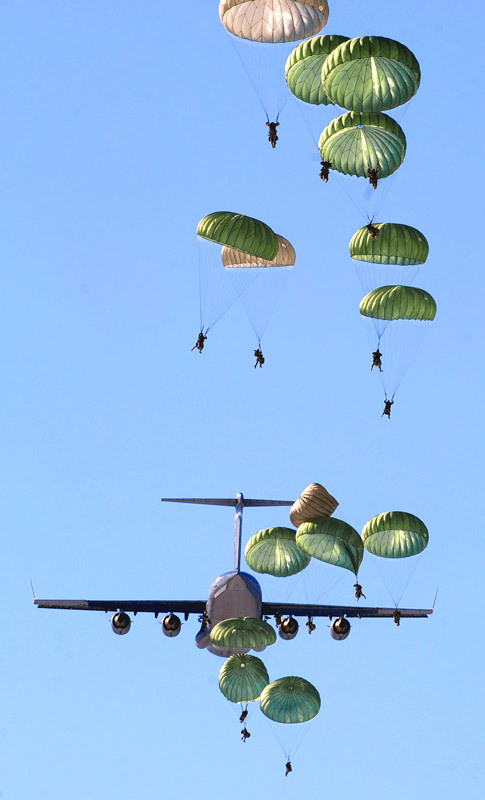 Cargo parachutes are used for airdrop and recovery operations. Based on designs created in the 1940s and 1950s, this classic parachute’s pattern has been fine-tuned over the years to improve efficiency. The team at Mills Manufacturing also supplies component parts for all cargo assemblies separately. A delivery method by which aircraft can drop supplies, our extraction parachutes are made in various configurations including 15-foot, 22-foot, 26-foot, and 28-foot extraction canopies, which are all of a ring slot design. 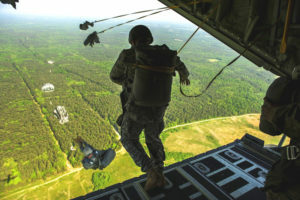 Extraction parachutes can handle low-velocity airdrops and can extract loads between 2,500 and 10,000 pounds, depending on the aircraft involved. Deceleration parachutes are known for reducing tire and brake wear for a variety of aircraft. Popular since World War II, deceleration parachutes are one of Mills Manufacturing’s niche products often made specifically for the US Air Force and a number of NATO countries. To lessen the long landing rolls of high speed jets, we currently make deceleration parachutes with the ring slot design. We also manufacture drag parachutes that can assist with landings on wet or icy runways, as well as emergency landings. We’re the oldest continuously American-owned military parachute maker and we’ve been making stalwart models like the T-10, MC1, G11, and G12 for the better half of a century. Keeping our nation’s defenders safe is our top priority, and we achieve it through rigorous self-assessment by experienced employees. Our employees collectively represent hundreds of years of experience manufacturing parachutes, with many who have more than 20 years of individual experience. It’s the experience, training, and skills of our workforce that enables Mills Manufacturing to not only maintain an ISO 9001 registration, but adhere to a rigorous industry standard we helped set. A Mills Manufacturing deceleration parachute. Photo credit: Ernest A. Mills Family Collection.